Rappler has been critical of the government led by Rodrigo Duterte and its ‘war on drugs’. Authorities in Philippines arrested journalist Maria Ressa in connection with a cyber libel case, Rappler reported on Wednesday. Ressa is the chief executive officer of Rappler, a news website critical of the Philippines government led by Rodrigo Duterte. Officers of the National Bureau of Investigation arrested Ressa from the headquarters of Rappler in Manila. The Department of Justice filed the cyber libel charges against Ressa and former Rappler researcher Reynaldo Santos Jr. over a story published in May 2012. According to Rappler, the story was published four months before the law they allegedly violated was enacted. The justice department’s case was based on a complaint filed by a businessman whose alleged ties to a former judge of the country’s Supreme Court were reported by Rappler. 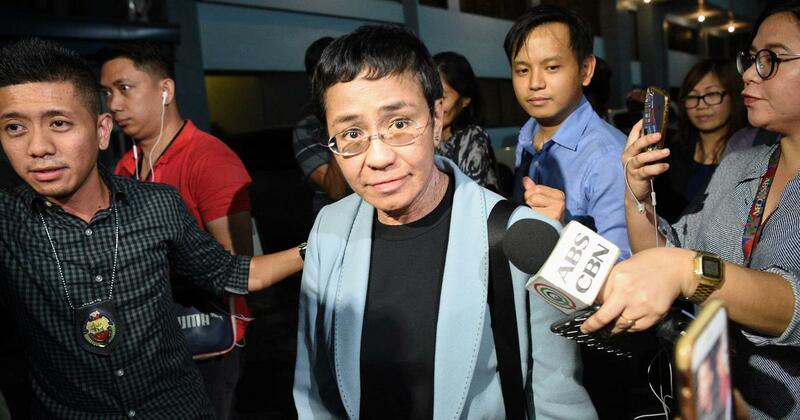 Maria Ressa has been arrested in connection with a cyber libel case; just one of the cases that the DOJ has filed against her. Ressa denounced these moves as the gov't’s desperate effort to harass & silence independent media. Ressa said she had not seen the indictment before her arrest was issued. “It is a shock. But we are going,” she said, according to Al Jazeera. She said the cyber libel charges were an attempt by Duterte’s government to silence her organisation, BBC reported. Journalists at the Rappler office live-streamed Ressa’s arrest on Facebook and Twitter. The footage showed several officials in plain clothes speaking to Ressa. Officers of the National Bureau of Investigations reportedly ordered the journalists them to stop filming and taking photos. 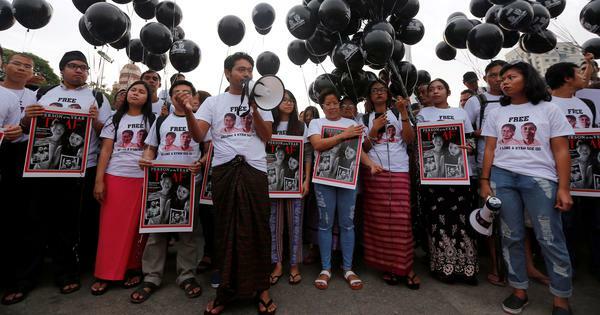 Rappler said Ressa and the media organisation have been under fire for “shining a light” on the “War on Drugs” in which the Philippines government has killed suspected drug users and “drug pushers” since 2016. Ressa was named TIME magazine’s “Person of the Year” for 2018 among a group of journalists.